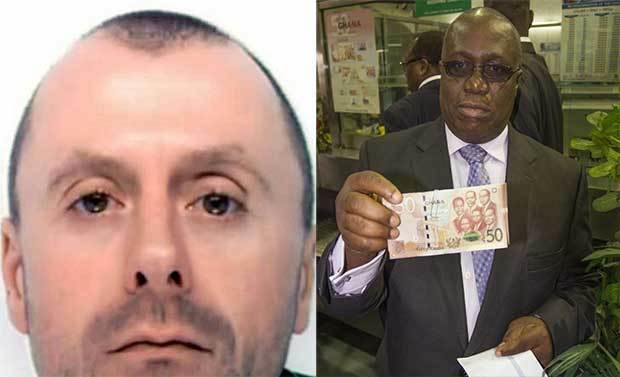 A fugitive drug lord David McDermott, who is the in-law of Ghana’s former governor of the Central Bank Henry Wampah, has been jailed 13 years for smuggling 400 kilos of cocaine into the UK in frozen Argentinian beef. The 43-year-old was arrested sometime in 2016 in Accra in an operation led by the National Crime Agency and Ghanaian authorities. “This case arises of a plan to import a massive quantity of cocaine of high purity from South America. “It was a plan that very nearly succeeded. The value was enormous and the impact would have been enormous had the drugs reached the streets,” the Liverpool Echo quoted Judge Alan Conrad. McDermott was part of a Liverpool-based gang who imported the super strength cocaine, worth up to £70m, hidden among meat from Buenos Aires. Liverpool Crown Court heard Border Force officers intercepted some 16 holdalls full of the 79% pure drug on May 3, 2013 at Tilbury Docks in Essex. After McDermott’s arrest, the Daily Mirror revealed he had married Ramona Wampah, daughter of the Governor of the Central Bank, Dr Henry Kofi Wampah. A source said: “He had what seemed to be an idyllic life, in a plush estate, having married into the Wampah family, in essence living like an African king. Mr Wampah denied knowing his son-in-law was a British fugitive, saying he thought he was just a mining sector worker.